This lifting fluid is specially designed to fight wrinkles around the delicate eye area. This lifting fluid regenerates and nourishes the skin with precious organic grape seed and organic argan oil. Highly concentrated hyaluronic acid binds and stores moisture, smoothing out lines around the eyes. Acmella (Gatuline para Cress) contains the active ingredient Spilanthol, which clearly leads to visible wrinkle reduction. Antioxidant organic-Edelweiß extract and natural vitamin E protect the skin against harmful environmental influences. This effective formula soothes and relaxes the skin. Lines and wrinkles are reduced and the skin appears soft, smooth and elastic. The look is relaxed and fresh. This fluid easily penetrates the skin and is therefore perfect as a make-up base. Ideal for contact lens wearers. 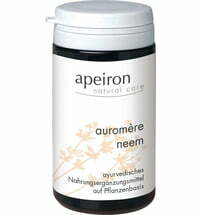 Can also be used to fight lines and wrinkles in the neck area, on the upper lips or on the décolleté area. Grapeseed Oil is a treasure among natural oils. Due to its high content of OPC (Oligomeric extract) and linoleic acid, grapeseed oil has tremendous antioxidant and protective properties. Glycerol is a moisturizer, improving overall skin moisture and smoothness (cream base). Cetearyl alcohol is a viscosity of plant origin in cosmetic creams. Myristyl alcohol is a herbal emollient that makes the skin soft and supple. Argan oil contains antioxidants that fight free radicals. Its special composition (linoleic acid, squalene, tocopherol, phenols) makes it well suited for oily, dry or ageing skin. Argan oil has skin-soothing and moisturizing properties. Gatuline para Cress is also called "natural Botox". Para Cress contains Spilanthol. The skin appears smooth, well-rested and fresh. Edelweiss acts like an antioxidant. Vitamin E is a natural antioxidant. Hyaluron is an important building block for the connective tissue. A decline in Hyaluron production results in a loss of strength and elasticity in the skin, which results in wrinkles. In addition to supplying the skin with moisture, Hyaluron ensures a fresh appearance of the skin and promotes a smooth and streamlined appearance. Sodium Lauroyl Lactylate is an emulsifier of vegetable origin. Sodium stearoyl glutamate is a plant emulsifier with skin-conditioning properties. Alcohol serves as a carrier for essential oils and is a natural preservative. Here: the low alcohol content in the Gatuline para Cress extract is required for the extraction of plant extracts, no additional alcohol/ethanol is required. The Perfume stems from the natural composition of the ingredients, no additional fragrances were used. The formula the Lifting Fluid for Eye Wrinkles contains no allergens. Potassium sorbate E202 is a preservative that is also approved for food. Sodium benzoate is a preservative E202 that is also approved for food.